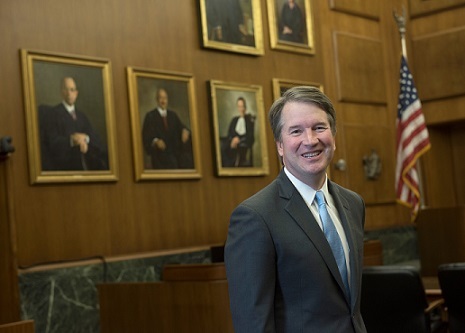 On Monday evening, President Trump nominated Judge Brett Kavanaugh to the U.S. Supreme Court to fill the vacancy created by Justice Anthony Kennedy’s retirement. The next justice could have a lasting impact on the Court for decades to come. At stake for the Asian American community is the future of voting rights, access to health care, workers’ rights, educational equity, and immigrants’ rights. In these politically divisive times, with the administration’s unrelenting attacks on immigrants and communities of color, the Supreme Court must uphold our nation’s fundamental values of equality, inclusion, and opportunity. The Asian American Legal Defense and Education Fund (AALDEF) is concerned that the nomination of Judge Kavanaugh does not augur well for immigrants and communities of color, who maintain hope in the promise of America even as their basic rights are at risk. We urge the Senate to fulfill its constitutional responsibility to conduct a thorough review of the nominee’s record and ensure that our democracy’s core values are protected by the Supreme Court.